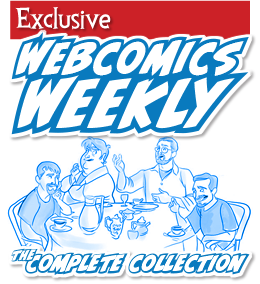 Now, more than ever, it’s easy to see what a subscription to Webcomics.com will get you. Every Friday, you can read the entire Archive Dive post without a subscription. This is a post from the site’s archive that I pull out front again because it still has relevant information you can use today. This is especially nice for newer subscribers (or anyone else) who may have missed it when it originally ran. Plus, at the beginning of every month, I do a wrap-up that highlights some of the best posts — from the site as well as the private forum — from the preceding month. Broken Links — If you want to improve your SEO and your ad revenue, fix your broken links. Broken links bring your Google PageRank down, and advertisers prefer sites with high PageRank scores. (And so do search engines.) Broken links on your site brings all of that down. Here’s a quick fix. We continued our series of “On The Spot” critiques. Here’s how it works, if you sign up, I will go to your site on a random day and talk about the site on that day. No archive dives. 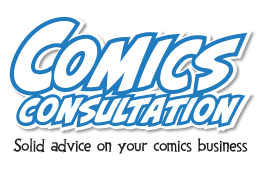 No “you had to read yesterday’s comic to understand today’s.” We talk about your comic and Web site from the standpoint of the newcomer who just arrived on that day. Was your work strong enough to retain that newcomer — and possibly convert him or her to a reader? Or did you lose your opportunity? Patreon’s patron-blocking feature — Patreon has unveiled its patron-blocking feature. 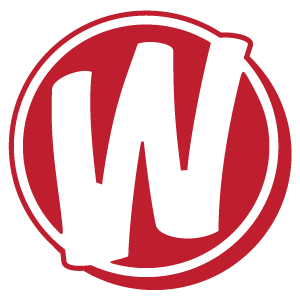 Webcomics.com-readers have known about this since the beginning of the month. If you decide to block a patron (and — please — read this post before you pull the trigger), here’s a step-by-step tutorial — and a description of what happens next! Child Themes and Comic Easel — A Webcomics.com member was using Comic Easel to design his site, but he had a problem, so he went to the forum to share his experience. His sentiment was a familiar one: “I haven’t added much in the way of custom CSS yet, but I’m wondering if it’s supposed to look as basic as this?” But there’s a good reason that it’s set up that way — and now there’s a new way to get a head start on designing the site that you want. Manga Studio Sale — After announcing that it was changing its name to (ugh) Clip Studio Paint, Smith Micro announced a promotion in which you could purchase CLP Pro (the equivalent of Manga Studio 5) for only $20. Adding an Apple Smart App Banner to your site — For a simple step-by-step tutorial, check out this post in the Private Forum. 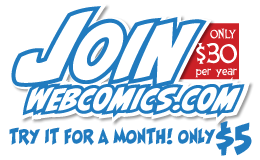 I’ve added the meta tag on the Evil Inc site that points to the Comic Chameleon app (ID number id640923803), in case you’d like to see the banner in action. New shipping rates — How about a little good news for a change? Some shipping prices at the United States Postal Service are going to drop starting April 10. We tell you what you need to know. Wordfence: Hackers exploit plug-ins most often — From Wordfence, a remarkable statistical analysis of how hackers gain control of WordPress sites. And it’s not due to hacked passwords! Comic Easel’s Transcript function — and some solid blogging strategy — We discuss the SEO limitations of the Comic Easel Transcript function. It’s really not there to improve your site’s SEO. That’s what your blog is for! SO… we move forward and offer some solid blogging strategy. What is your opinion on selling unlicensed prints at conventions? I'm OK with it. It's not hurting anybody. It's not right, and they should not be allowed to do it. It's OK — but only if the artist has a genuine connection to the property. Everybody's doing it. So what's the big deal?